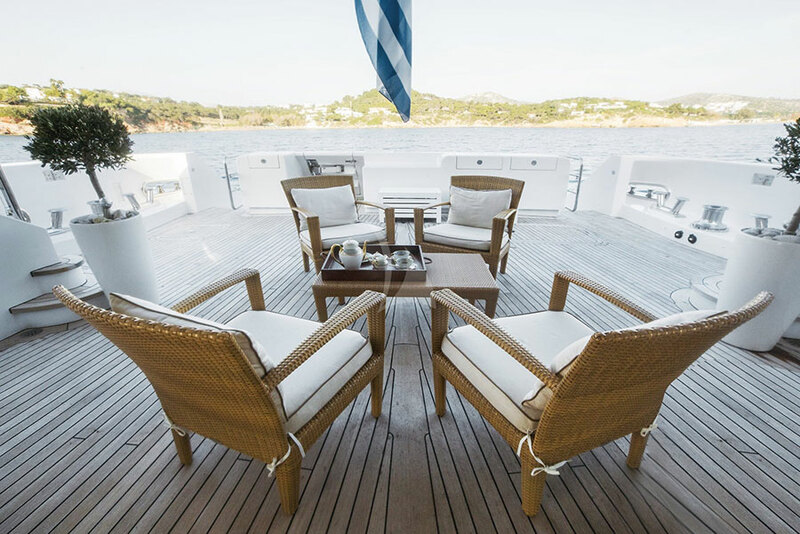 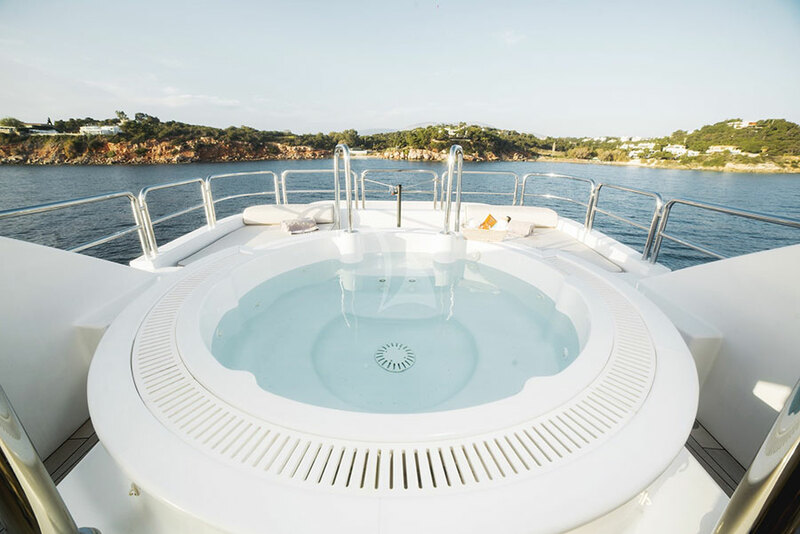 With her classic and elegant lines, the 47.5m (155′) Oasis offers an ideal environment for relaxation on the sundeck in her inviting outdoor lounge area with a twelve person Jacuzzi. 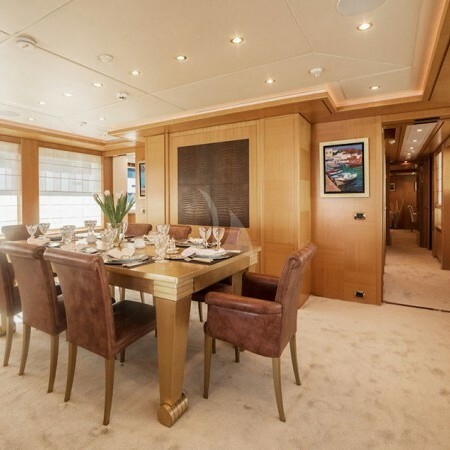 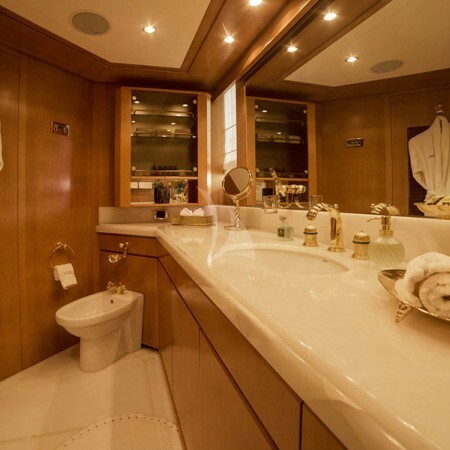 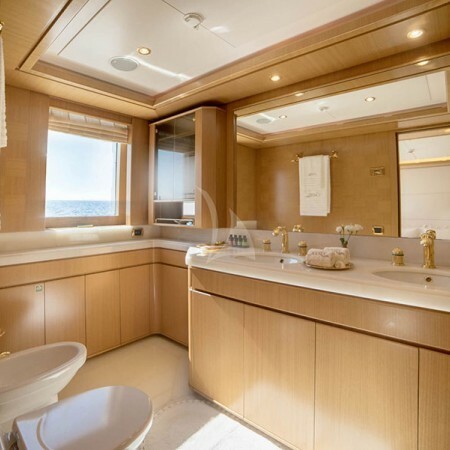 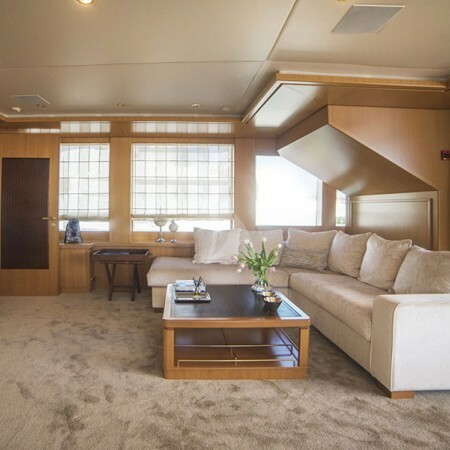 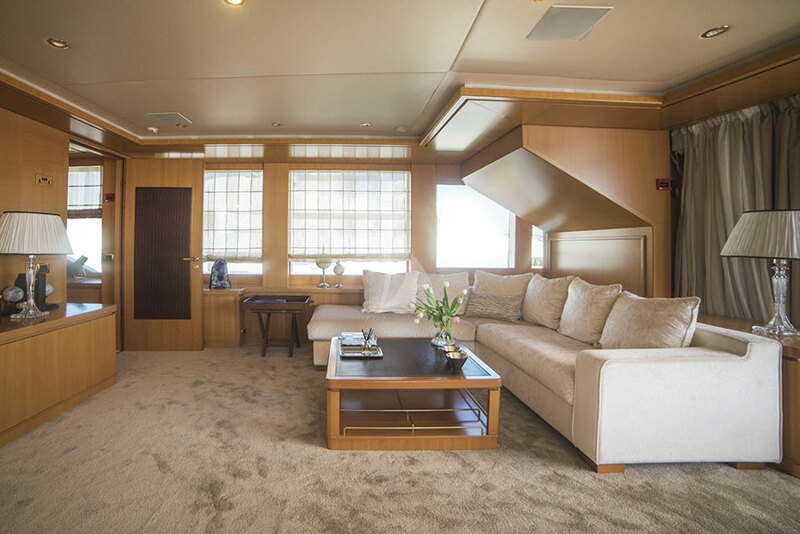 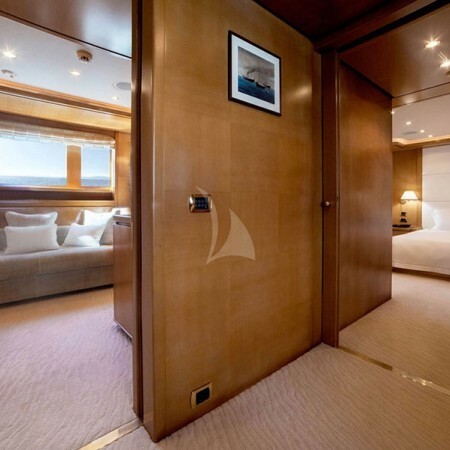 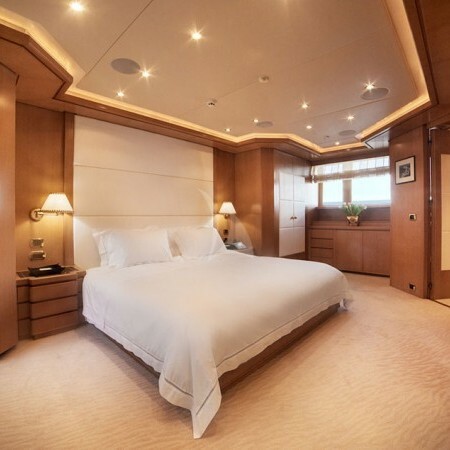 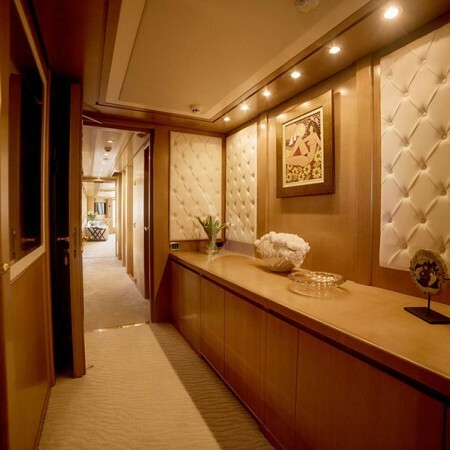 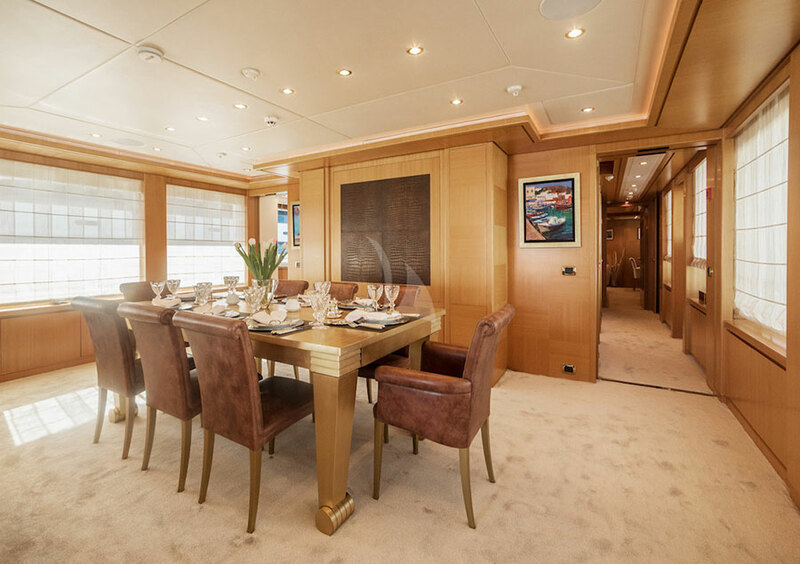 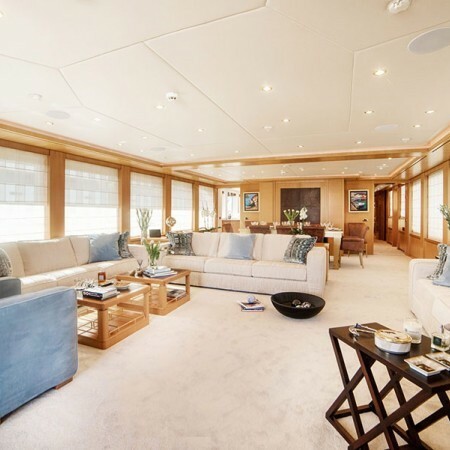 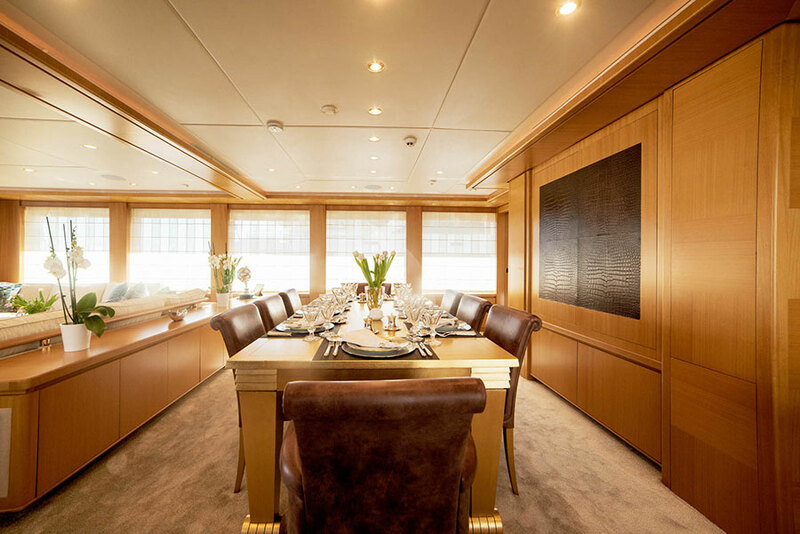 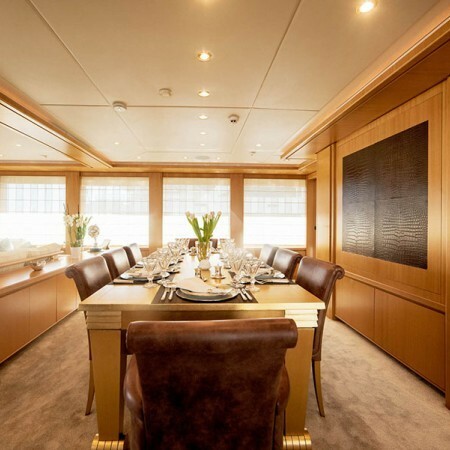 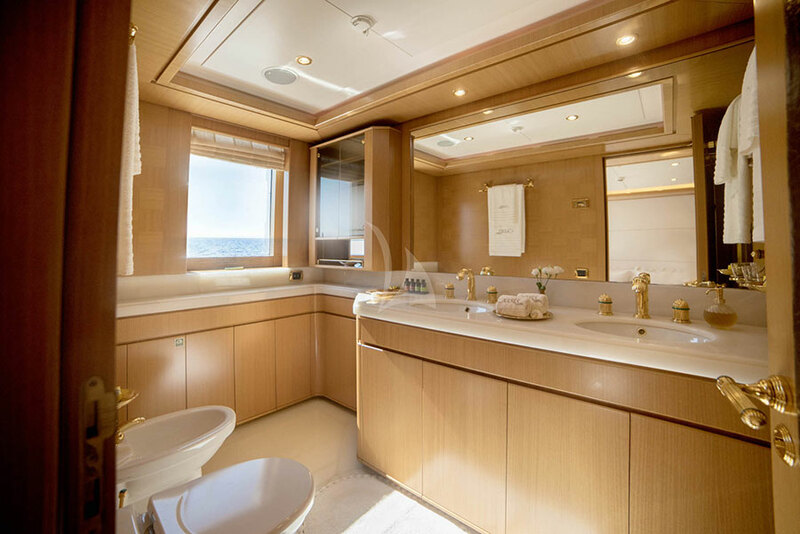 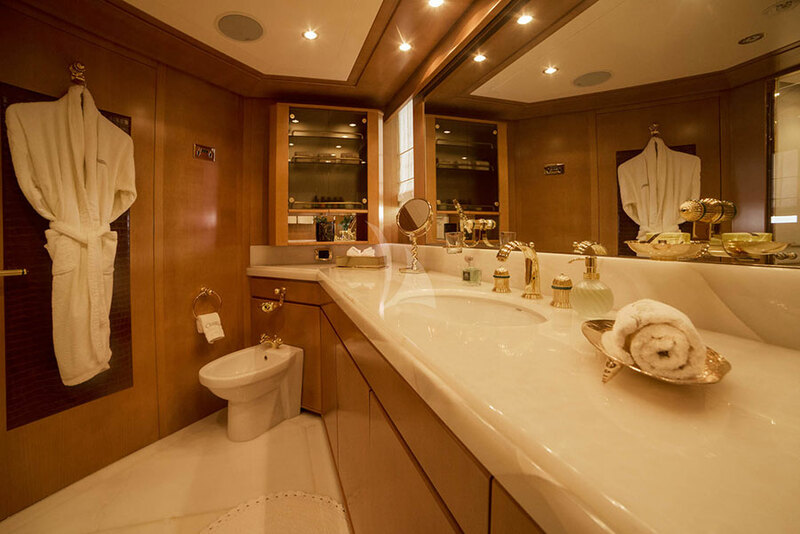 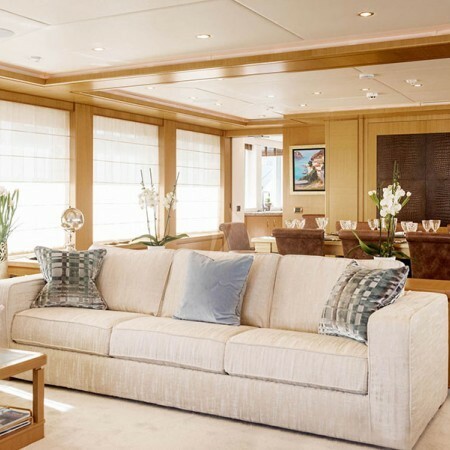 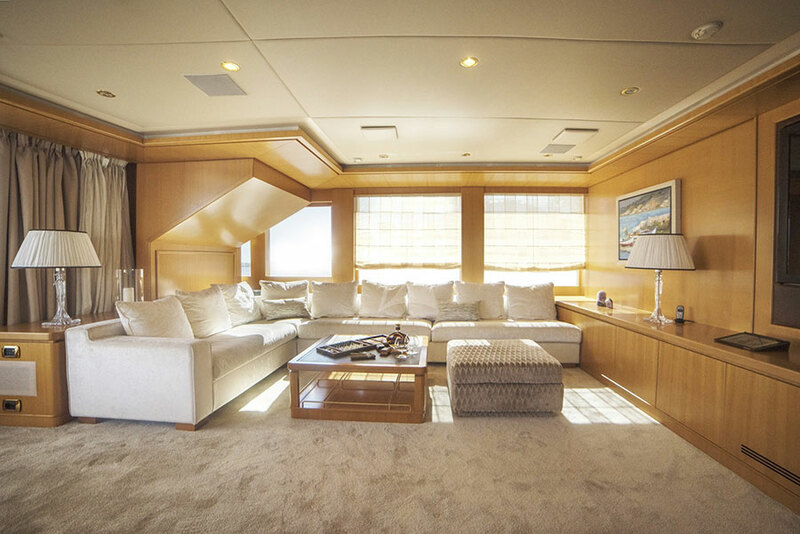 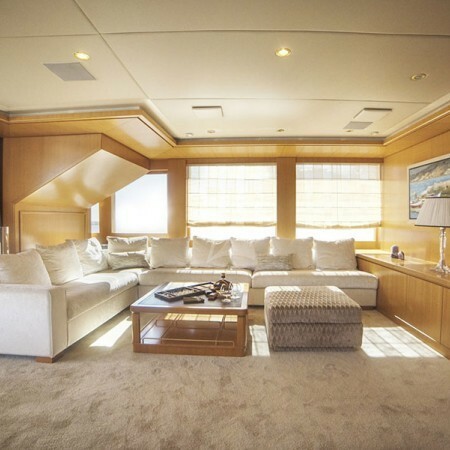 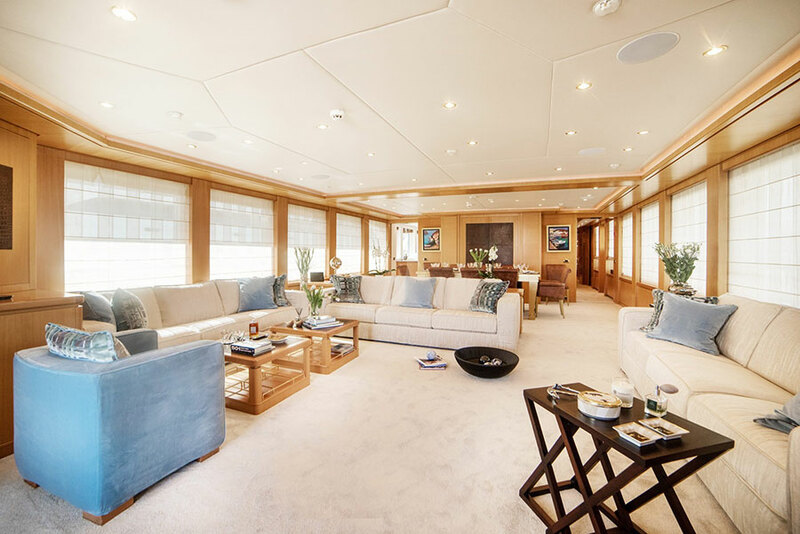 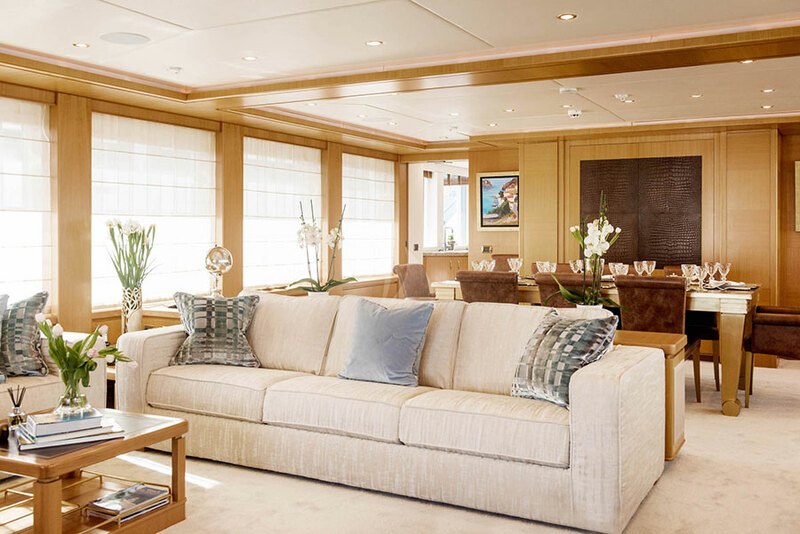 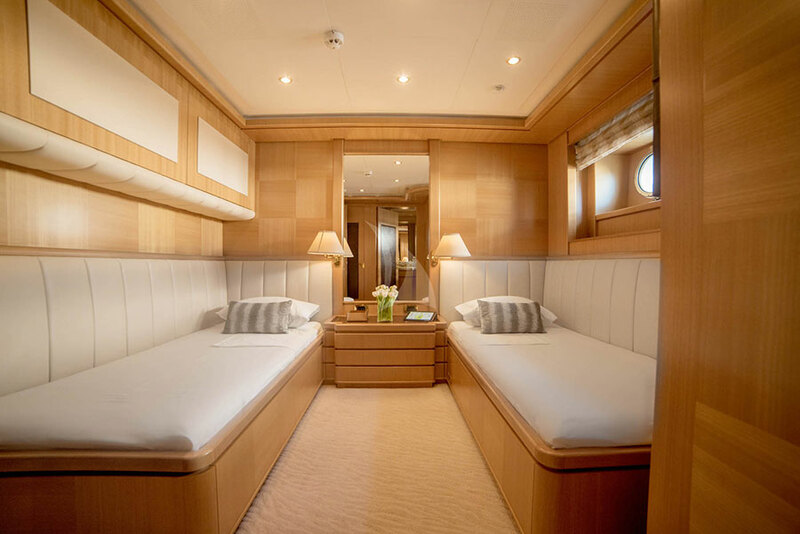 Her luxurious and classy interior underwent a recent refit (2016) rendering her in immaculate condition. 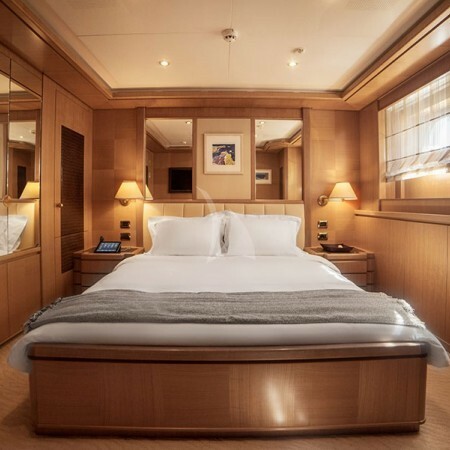 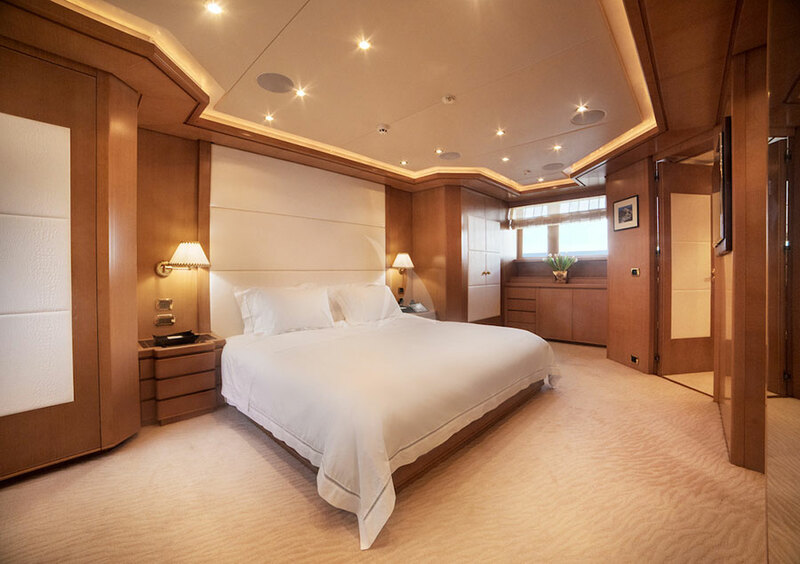 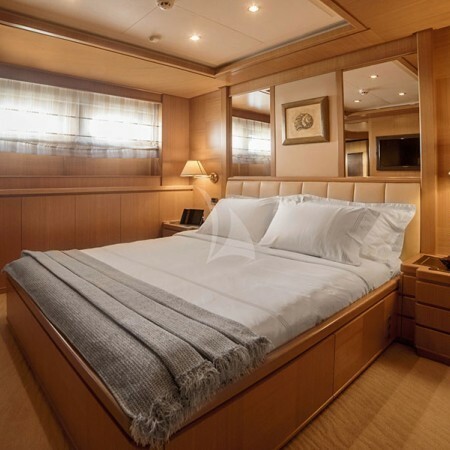 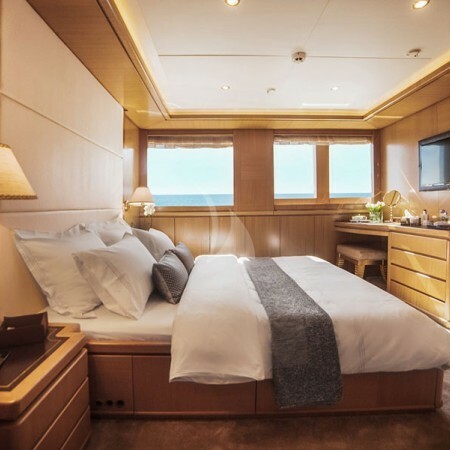 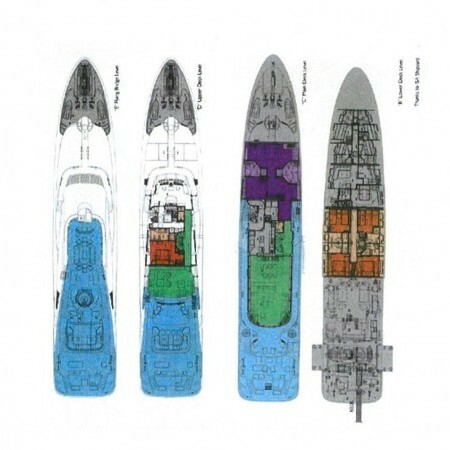 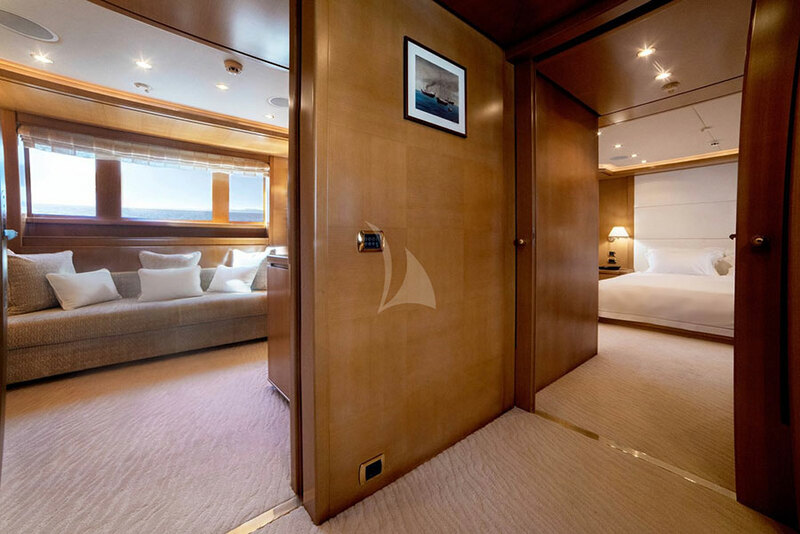 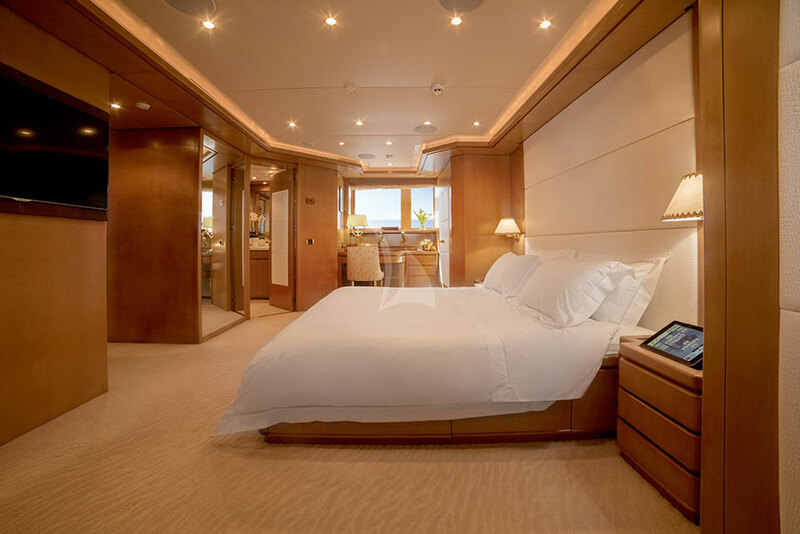 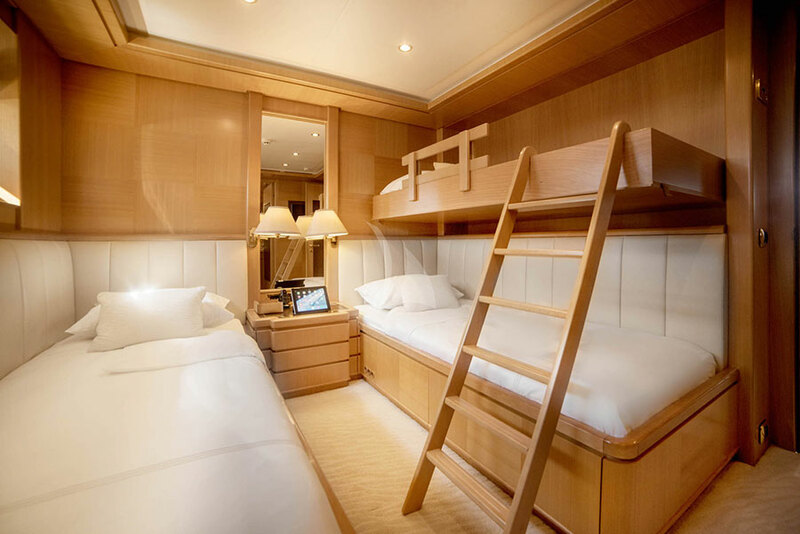 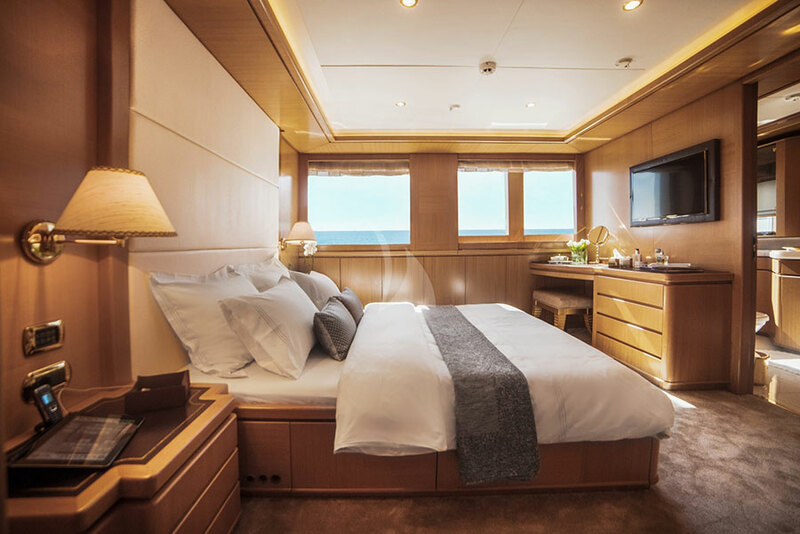 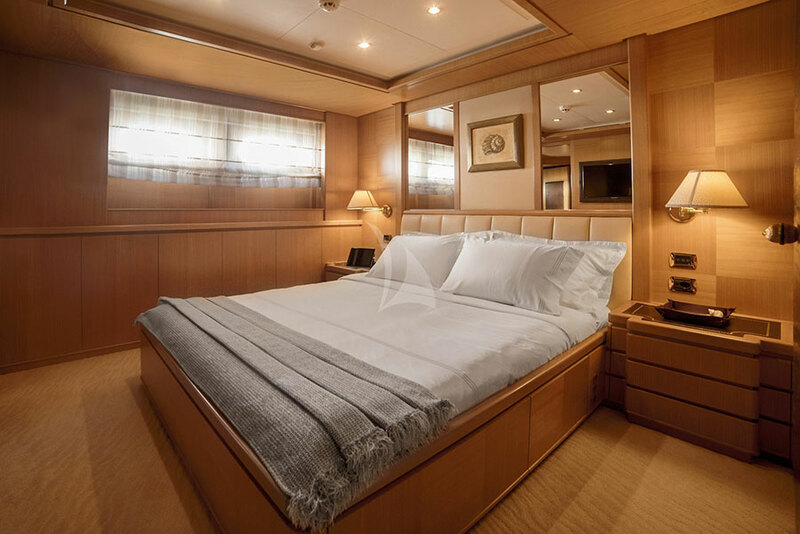 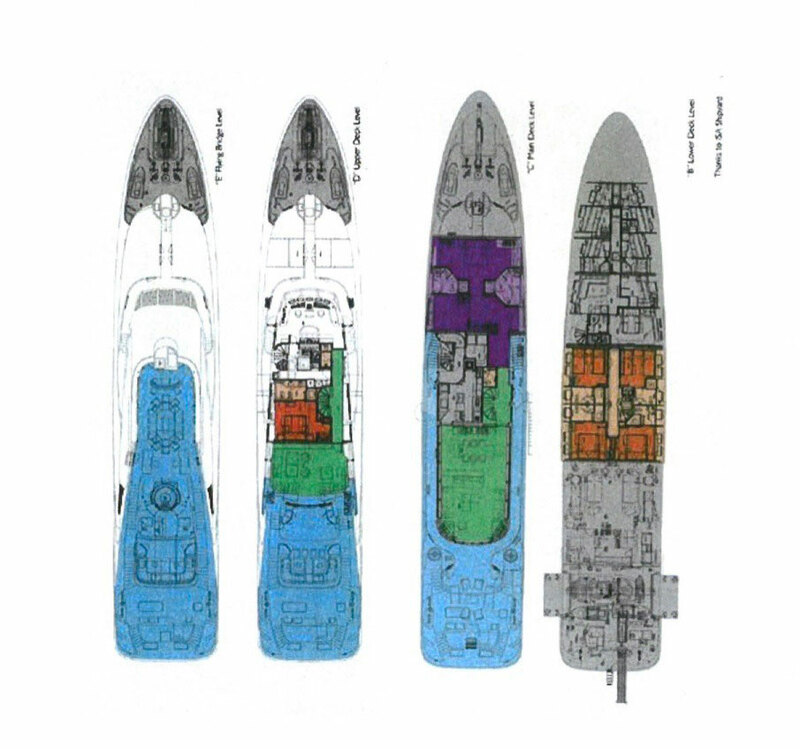 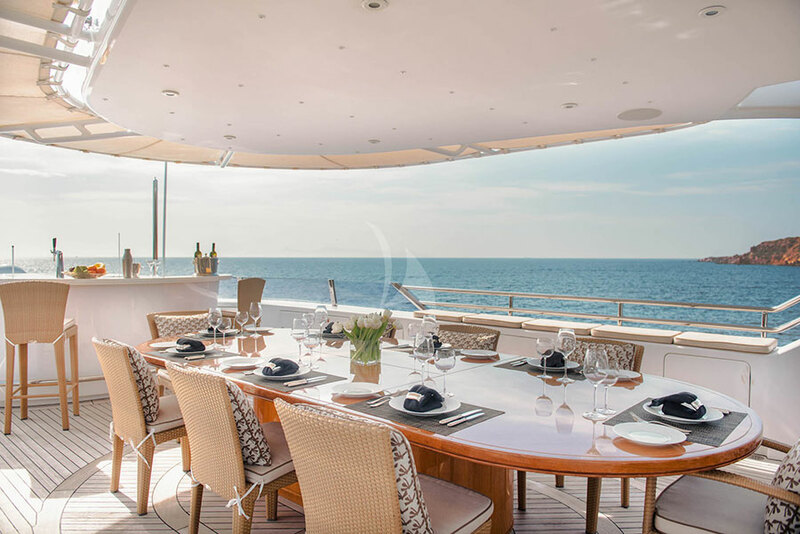 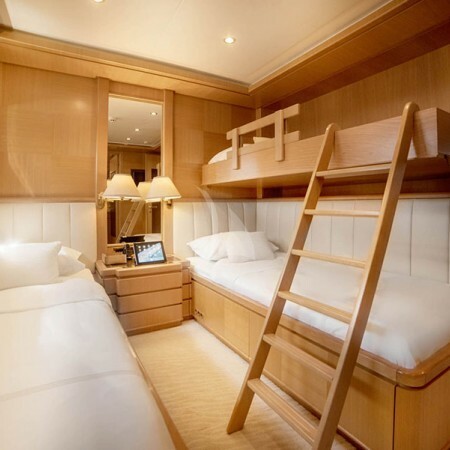 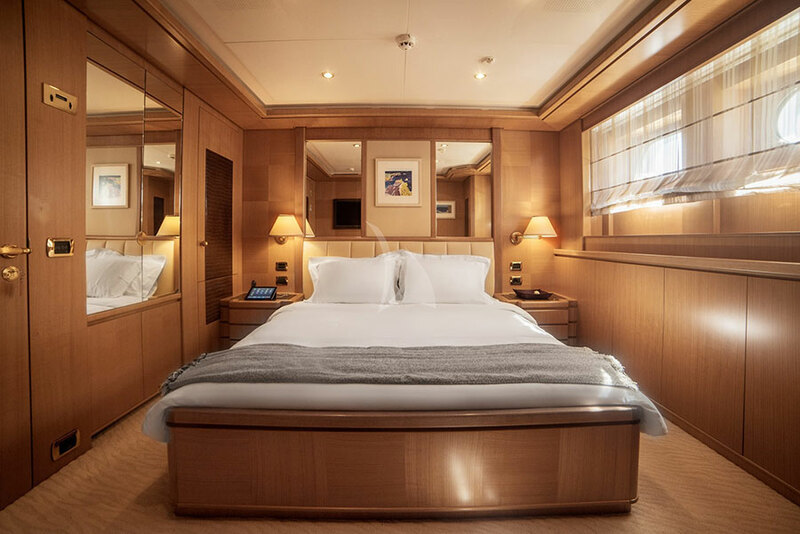 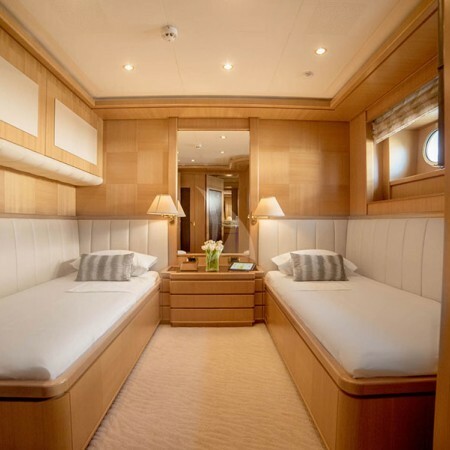 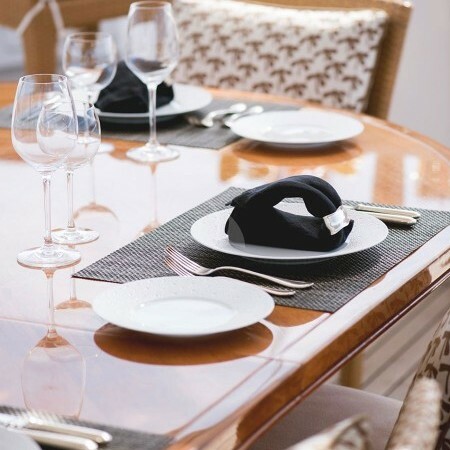 She consists of six staterooms for twelve guests; a spacious Master Cabin on the main deck, four guest cabins on the lower deck plus two pullman beds and a bright VIP cabin on the upper deck all with en suite facilities. 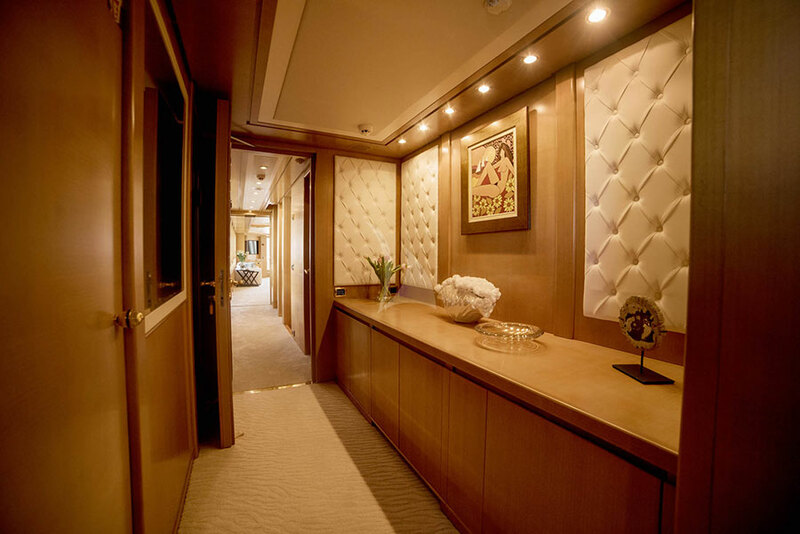 An ISA 470 motor yacht, Oasis (ex Amoixa) was built in 2006 by ISA, designed by Luca Dini and her exterior styling is by Walter Franchini. 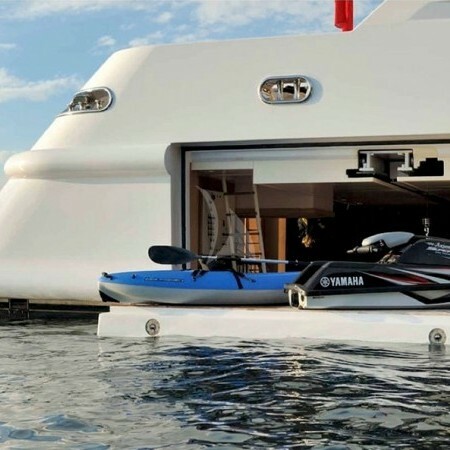 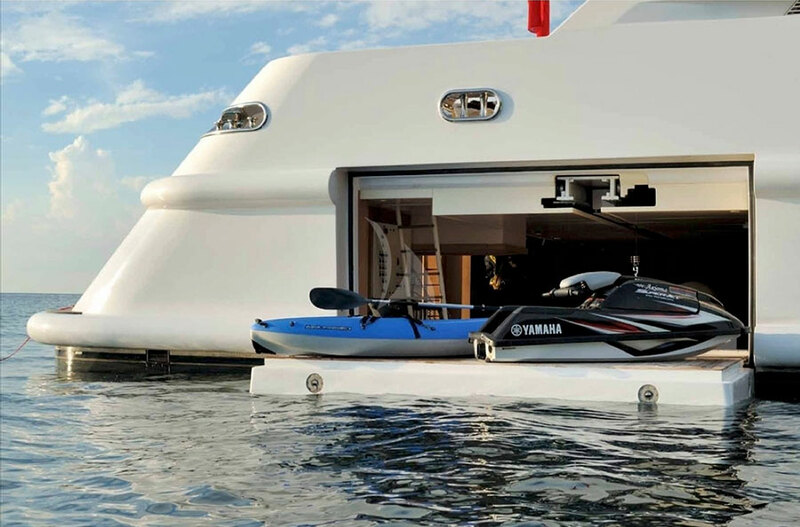 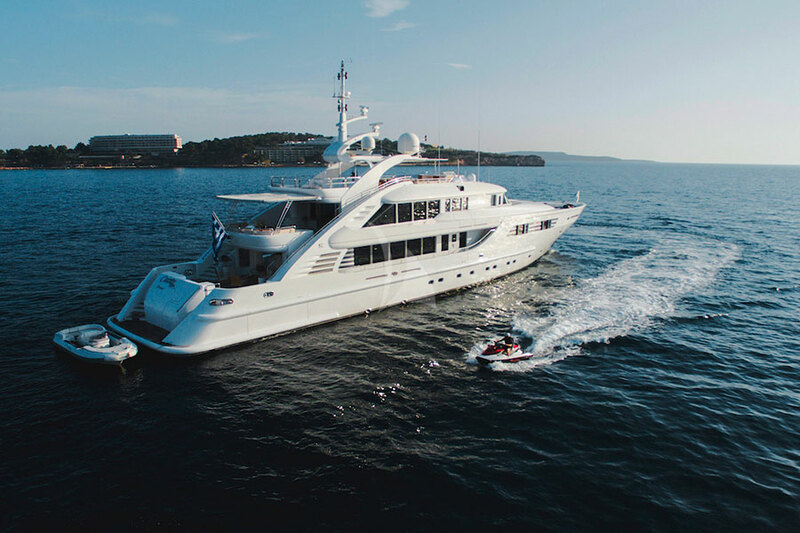 With a cruising speed of 13 knots and a maximum speed of 16 knots, she perfectly combines performance and luxury. 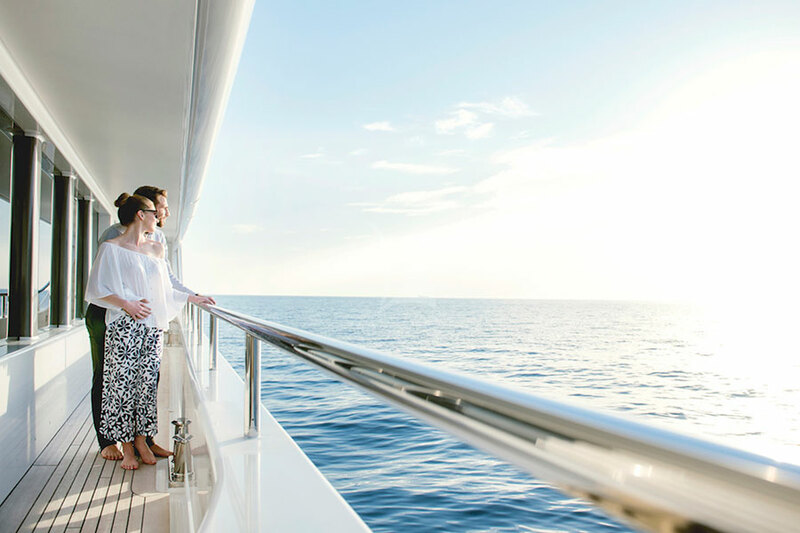 OASIS features zero speed stabilizers to increase onboard comfort and reduce roll motion effect for a smoother cruising experience. 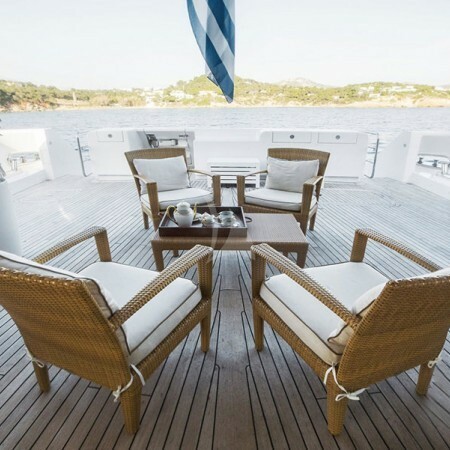 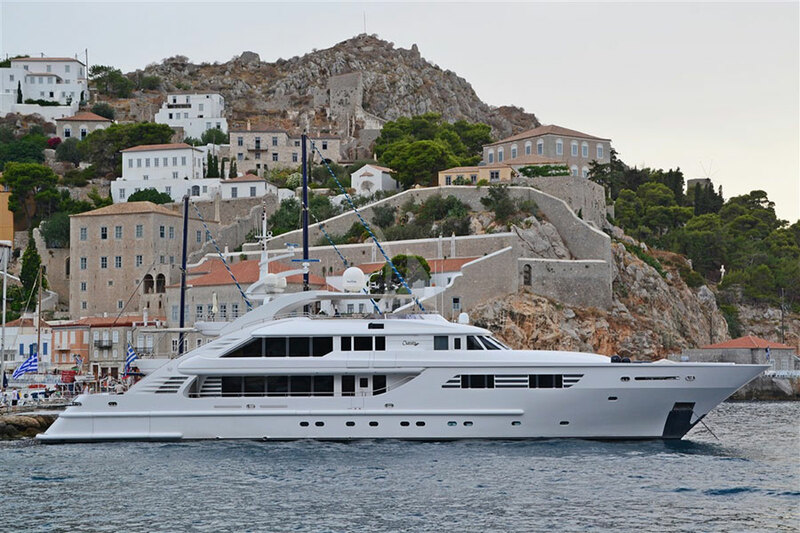 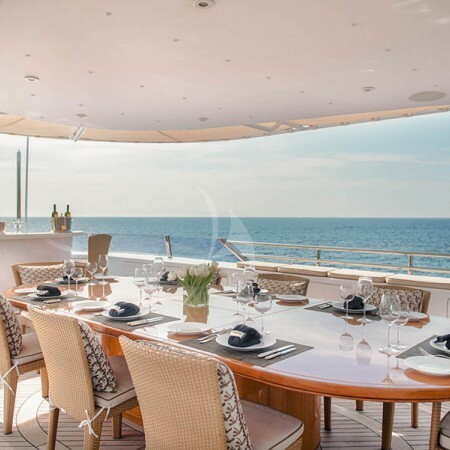 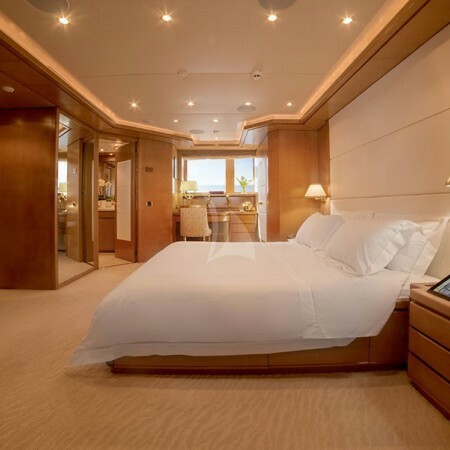 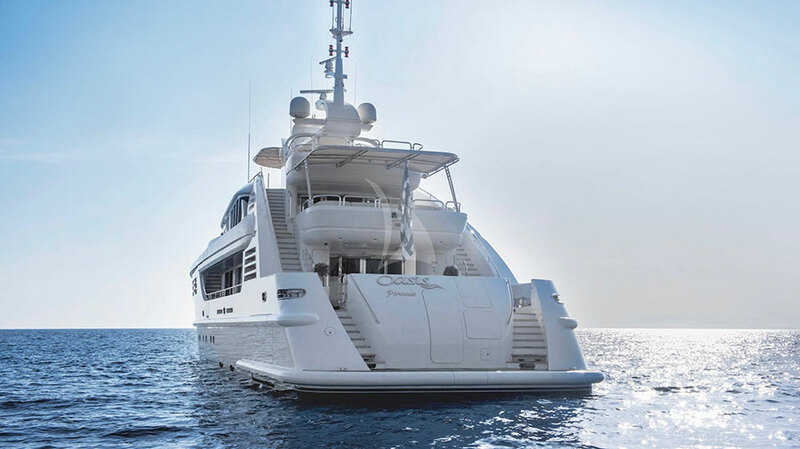 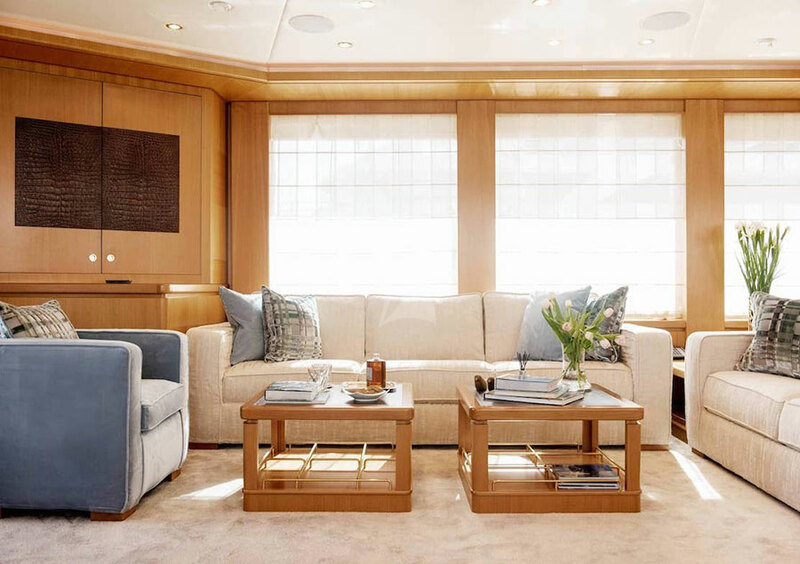 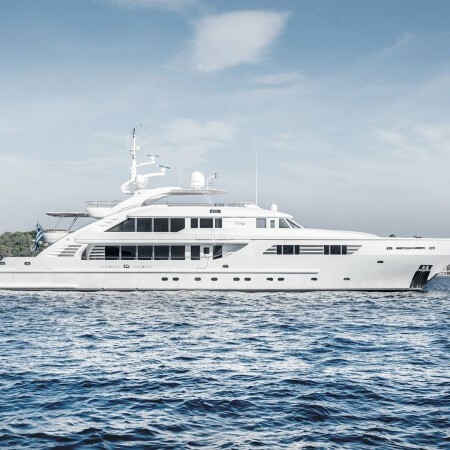 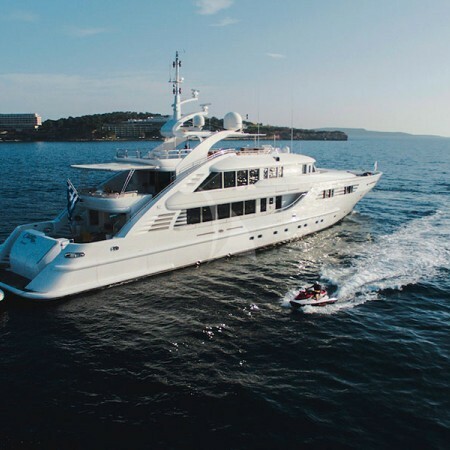 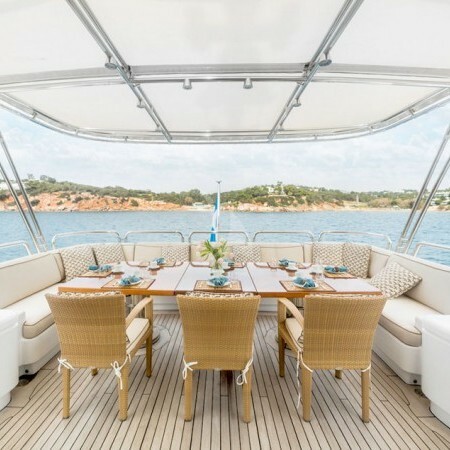 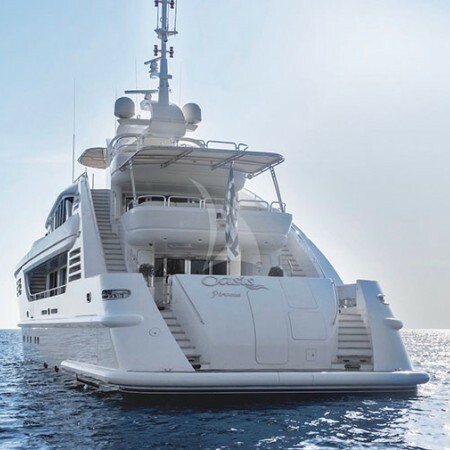 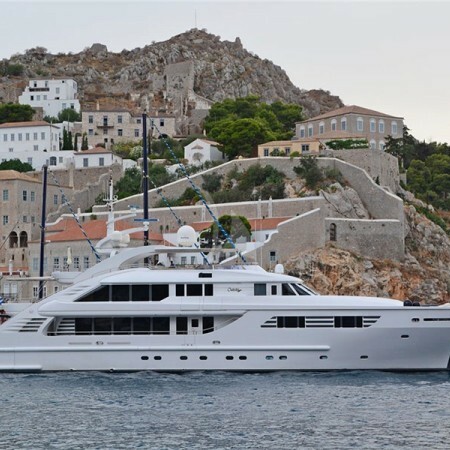 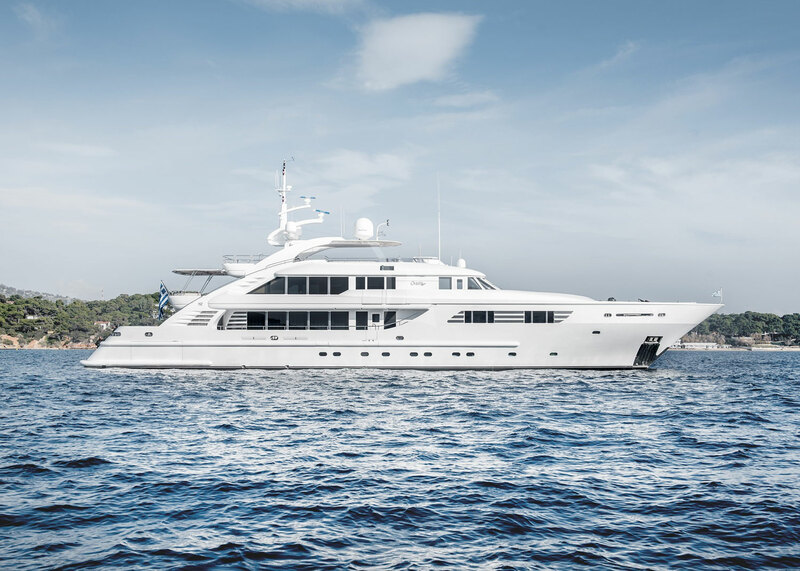 Her multimedia central system has been recently upgraded with an Internet and iPad entertainment system that has access to satellite cable channels and an extensive music & DVD library in salons, cabins and sundeck. 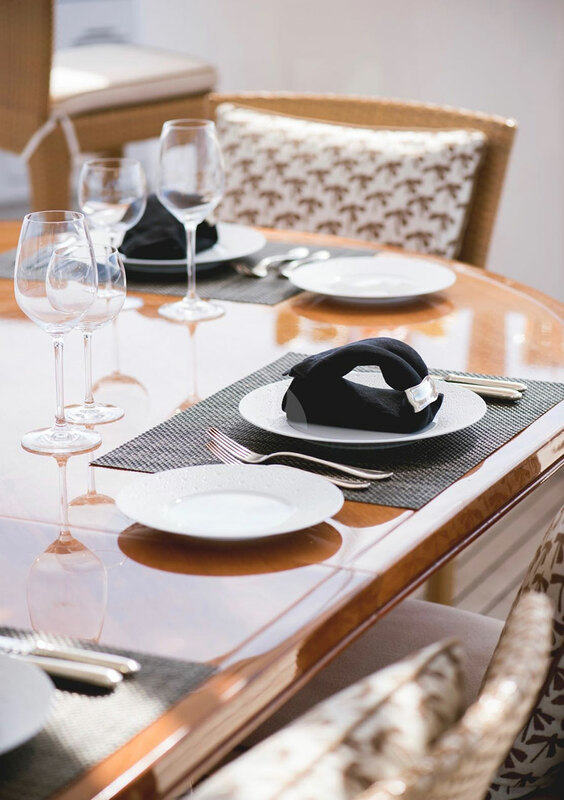 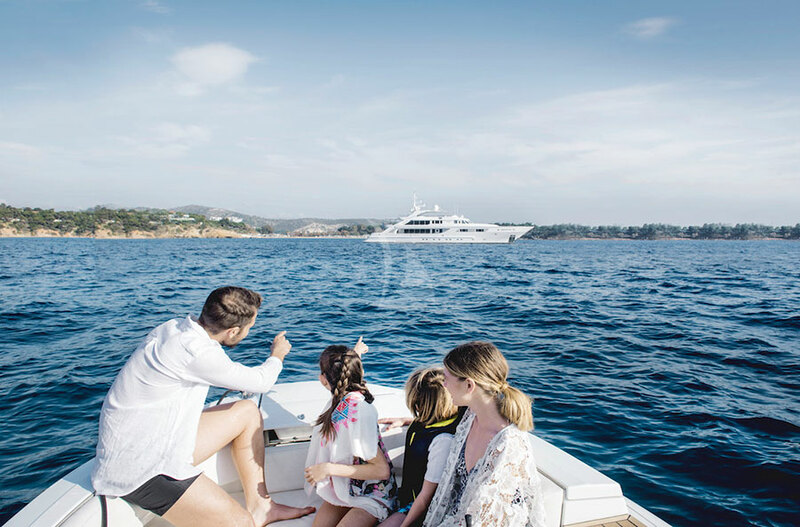 Her experienced crew of nine offers high standards of service making sure that all guests have an unforgettable time onboard. 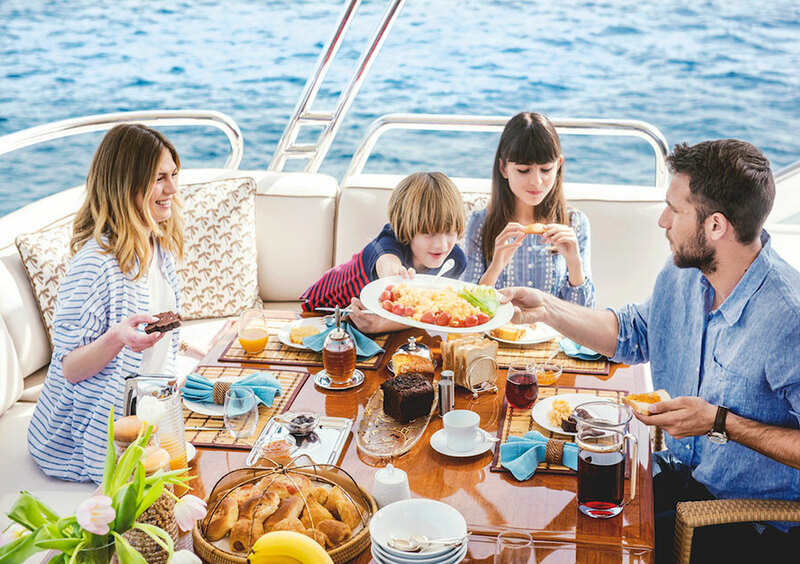 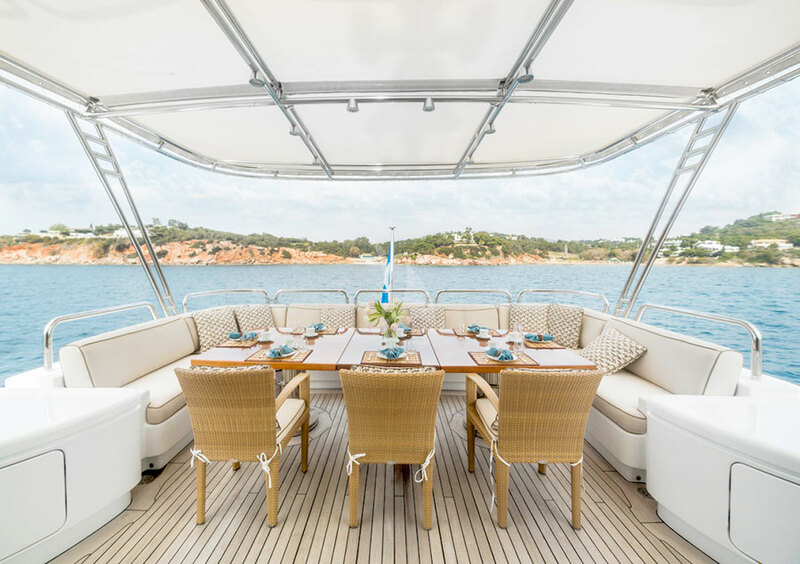 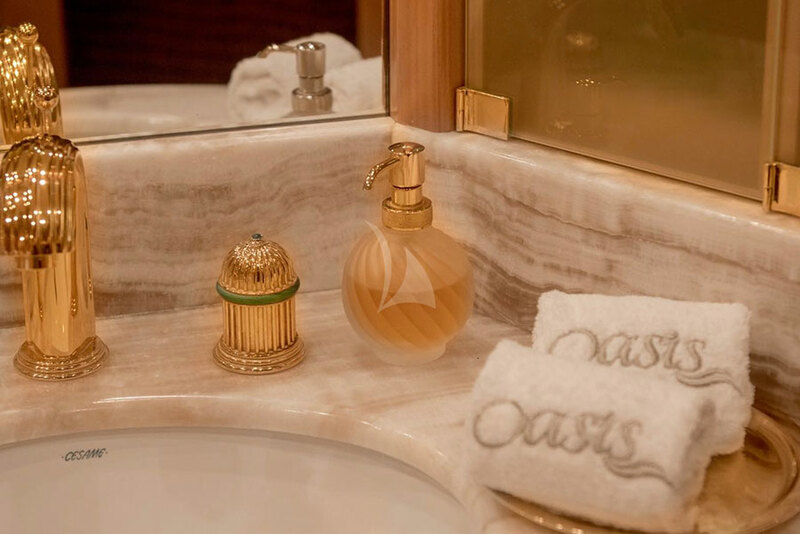 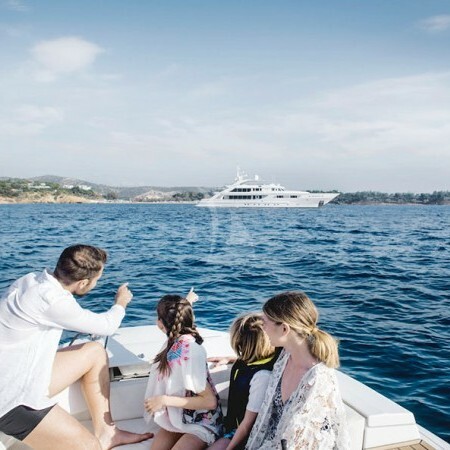 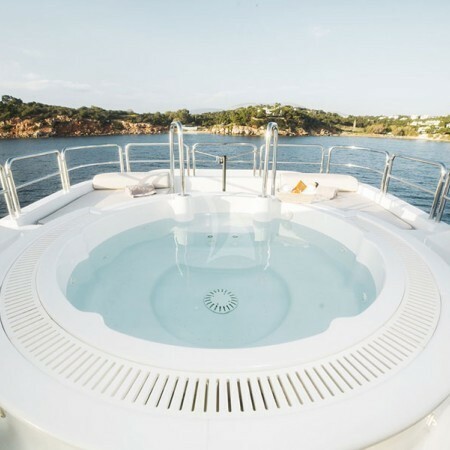 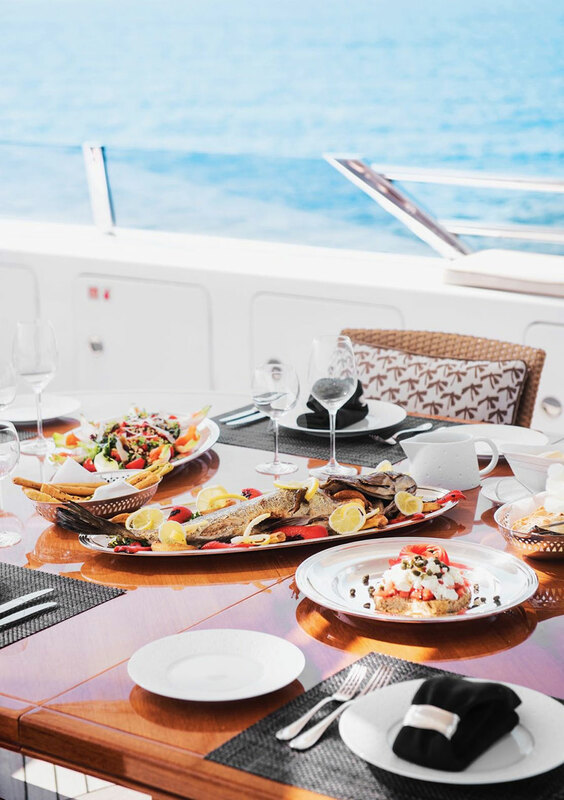 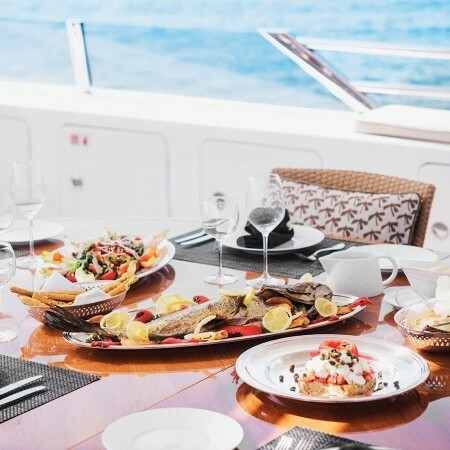 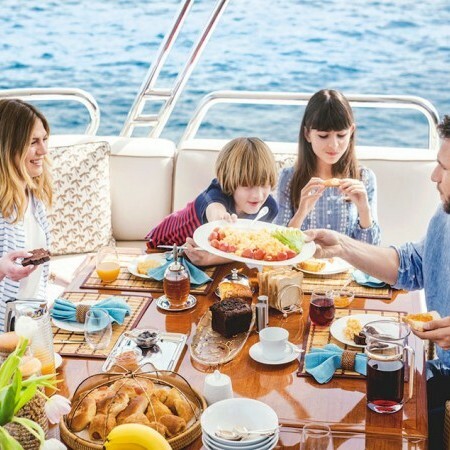 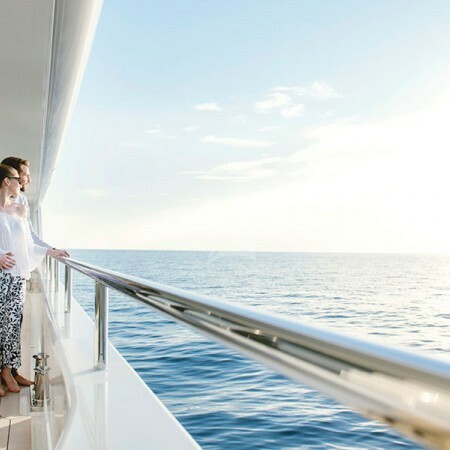 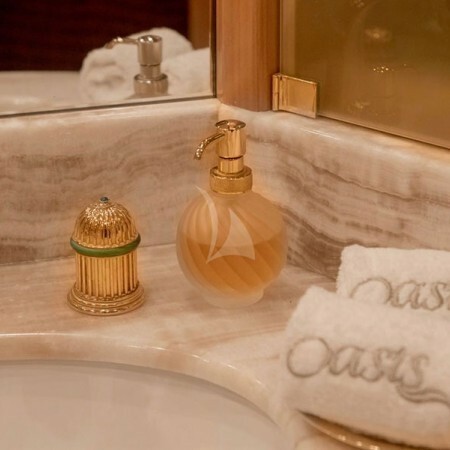 Her Captain’s knowledge of secret destinations makes Oasis an optimal choice for cruising the Ionian and Aegean islands alike and the ideal yacht for entertaining with family and friends.